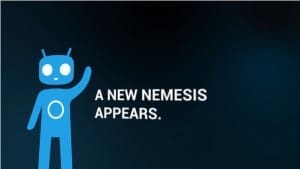 It seems that the developers behind CyanogenMod, one of the biggest aftermarket ROMs for Android, are not resting any seconds because they just released a YouTube video that teases a new project, possibly called Nemesis. The video doesn’t really unveil anything, leaving everything at our imagination. One can only speculate about what’s coming, a new Custom ROM, a mod or whatever it will be. What the video shows is a lockscreen of an Android device, with the word ‘Free’ written below. The right person at the right time; The right pixel at the right time; The right look at the right time; The right path at the right time; The right spark at the right time; The right feeling at the right time; The right formula at the right time; The right tap at the right time; The right person at the right time; The right action at the right time; The right reach at the right time; The right smile at the right time. The video ends with a focus on ‘the right memories’ and hints at a project named Nemesis that will be ‘a new challenger’. Meanwhile you can take a look at the video yourself and speculate on what it can be.